Ultra-sharp Japanese Steel Excel Black blades - 25% sharper than standard blades. Auto-lock mechanism. 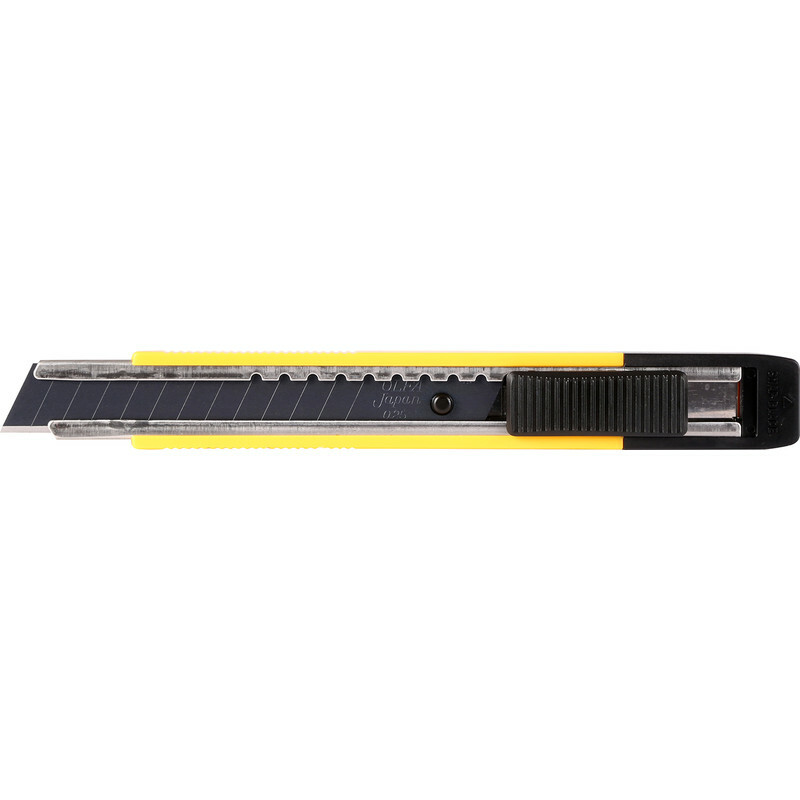 Olfa Snap Off Wallpaper Cutting Knife 12.5mm is rated 4.4 out of 5 by 5. Rated 5 out of 5 by Hugo First from Practical and very, very sharp! Decorating with paste the wall lining paper and not having much success with either scissors or Stanley knife. Paper difficult to work with and kept tearing. Online forums recommended this so gave it a try. Dry good. I used one section per two trims and it did the job well.